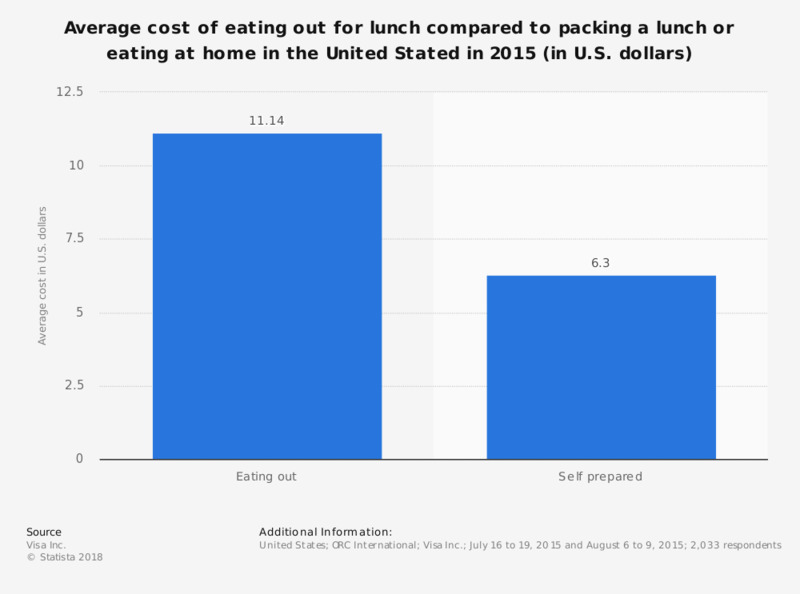 The statistic shows the average cost of lunch when eating out compared to a self prepared lunch in the U.S. in 2015. The average cost of eating out for lunch in the U.S. was 11.14 U.S. dollars in 2015. Individuals who packed a lunch or ate lunch at home spent an average of 6.30 U.S. dollars. Do you buy your lunch or do you bring your own lunch to work?